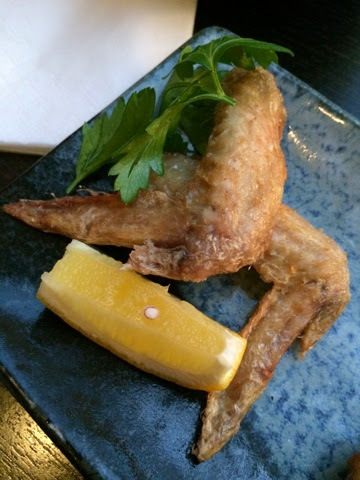 Searching for a cute Japanese restaurant in London that won't break the bank, but is intimate and elegant enough for special occasions? Look no further than Nagomi. I found Nagomi during the ramen craze that hit London around 2 yrs ago, a few online reviews had suggested the ramen here was authentic and worthwhile. We booked a table for my husband's birthday, gorged on an excessive amount of food and rolled out with happy bellies and £43 (each) less in our wallets. Not bad at all when you consider the location and the quality of food. It has the cozy ambience of a small traditional Japanese restaurant and all the staff were friendly and efficient. Second time round and another birthday to celebrate, the birthday girl thoroughly enjoyed her evening. 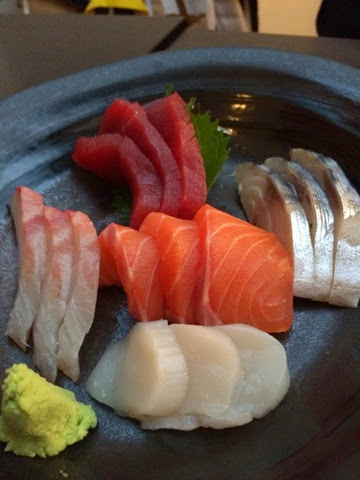 A round of sashimi. Not particularly great, but not bad either. Perhaps with less turnaround, they are not able to keep the fish as fresh. Sushi selection. Again, not bad, but the cooked ones were better, which sums up my thought as above. Gorgeous chilled silken tofu dressed in a roasted sesame sauce. 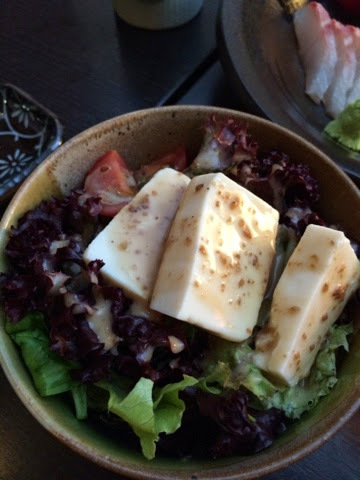 This is what makes a Japanese salad so good! Sounds wrong, but it's so right. 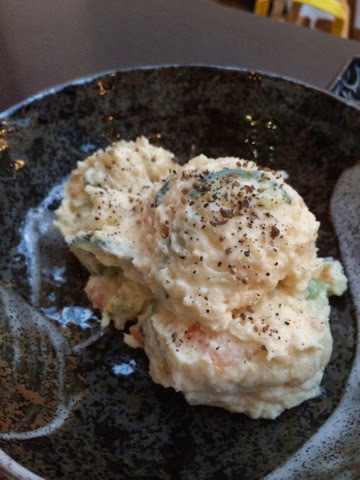 Cold potato mash with Japanese mayo, cucumber and other bits of veg. This is what you call a Japanese potato salad. Excellent stuff. 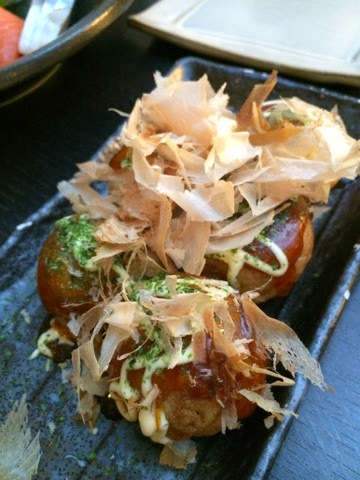 Takoyaki! I'm very fussy about takoyaki, I am a fan of Osaka style Takoyaki, but not the Tokyo style. This was closer to the Osaka style, happy me. Grilled little fish.. forgot the name now, but it's close in taste to mackeral/sardine with a firmer flesh. Simply grilled with salt, and served with lemon. I'll eat anything cooked this way! 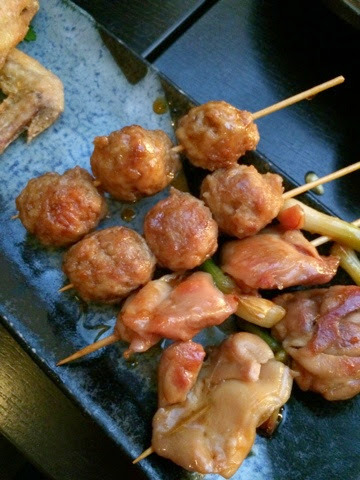 Yakitori selection, the chicken balls are especially great. Savoury sweet teriyaki sauce on bitey minced chicken balls and succulent chicken thigh. Again, simply salted and served with lemon. 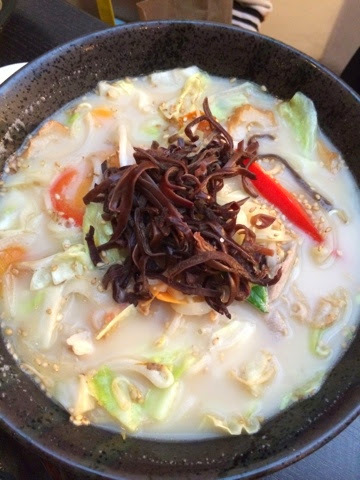 The vegetable special ramen. A much lighter tasting broth than the usual porky broth, the wood ear fungus (black shreds) really made this ramen shine with its crunchy texture. The ramen had a good bite to it too. Standard katsu don. 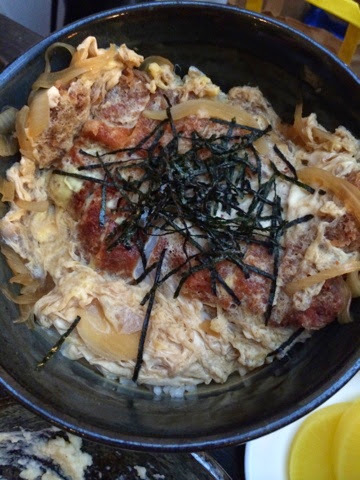 Breaded pork cutlet on rice with an eggy sauce simmered in onions, dashi and mirin poured on top. Pork simmered with potatoes in a dashi, soya sauce and mirin. I have been told by a Japanese friend that this is a very homey dish! I loved this. Giblets in tempura then cooked in a light soya/mirin sauce. Giblets are fantastic here. Grilled beef steak. Beautiful tender beef fillet in a peppery, soya like sauce. Tonkotsu pork ramen. The ramen is good here, with a nice bite to it, but didn't blow my mind. The roast pork was tender with melty fat layers, just not enough flavour oomph. Chicken kaarage was juicy and tender, with the right amount of marinade and a good crunchy, not-too-oily exterior. Crispy pig ears, they were insanely good! We were all fighting for the last piece. The cooked seafood sushi here is better than the raw stuff and it's no different on this one. 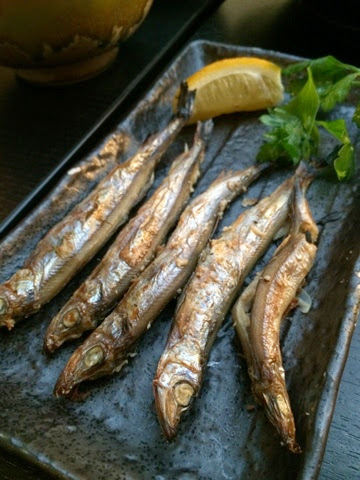 Eat Tokyo is the other Japanese all-rounder restaurant that we frequent but since it is a more casual eat & go type of joint, Nagomi is the perfect choice when you don't want a rushed meal. 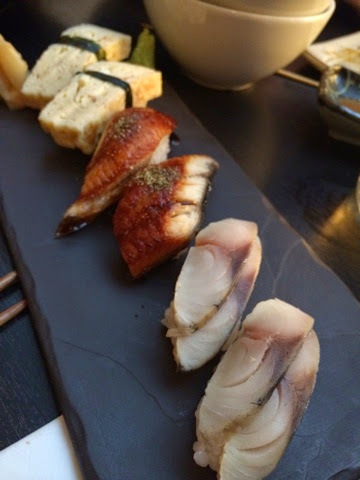 The food variations are different too in terms of what is on offer, and I feel the cooking at Nagomi is on a slightly higher bar out of the two. Photos are a collection from both birthday celebrations. Simple and straightforward food with good quality ingredients, that's the beauty of excellent sushi. Love!